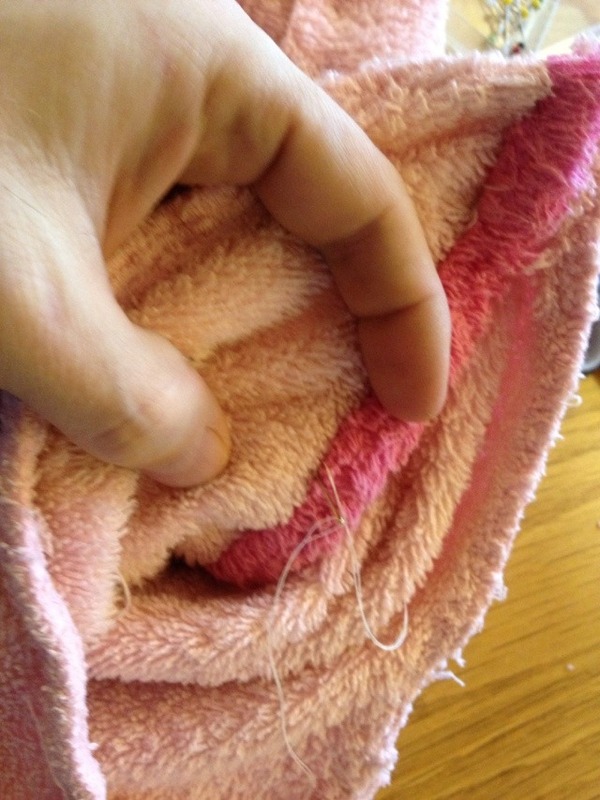 I had a small soft, fluffy pink bathrope that my daughter had outgrown, and some stuffing from a cheap ikea pillow that got torn apart during washing. I cut off the seams, and tried to get the most I could out of the material, and and ended up with two cute Japan-inspired teddybears and a little pillow. I chose the shape, and my daughter the buttons for the face. All hand stiched, using only left over materials. 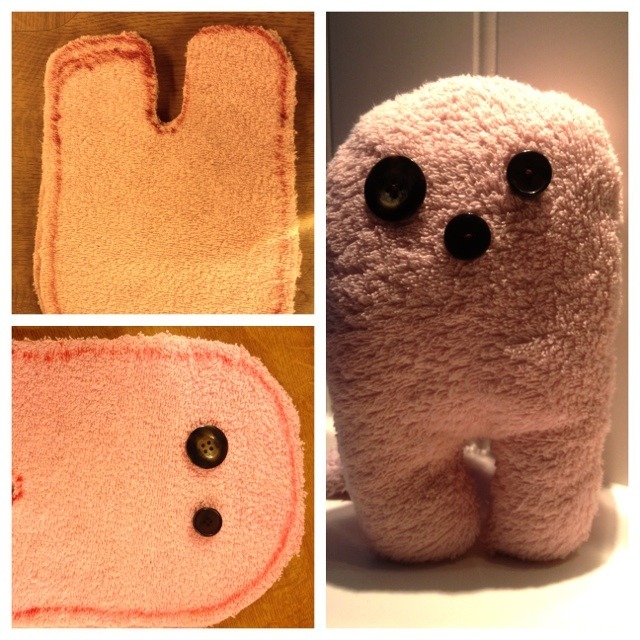 The fluffy material is very forgiving, so even if your sewing skills are pretty bad, you can’t really notice. 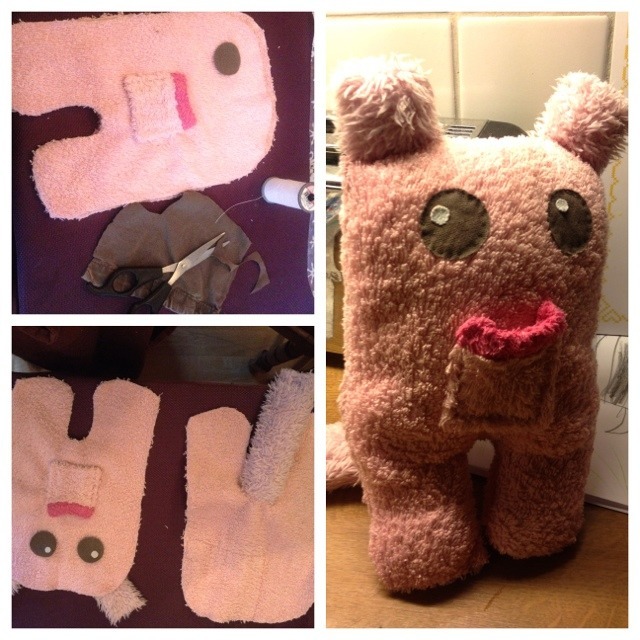 The tail and ears are made from the bathrobe belt.